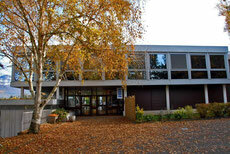 Welcome to Université Savoie Mont Blanc and to the IAE - aceepts jimdo page! 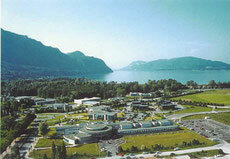 With 14 000 students, a rich variety of multidisciplinary education and 19 research laboratories, Université Savoie Mont Blanc is a student-centered university with a distinctive interregional and cross-border dimension: strong, special relationships with the higher education establishments of neighbouring Switzerland and Italy have been developed thanks to Savoie’s outstanding location. 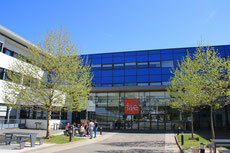 A wide range of courses -short or long, research or vocational degrees, at Bachelor, Masters and Doctorate level are offered and delivered on Université Savoie Mont Blanc’s three campuses in Annecy-le-Vieux, Le Bourget-du-Lac and Chambery (Jacob-Bellecombette), where the ACEEPT Project Week will take place. Université Savoie Mont Blanc’s geographical location makes it a very special place to study and stay: Chambéry-Le Bourget and Annecy are gateway cities to the French Alps and home to France’s largest lakes. Savoie is about 3 hours from Paris and the Mediterranean coast with excellent train connections, and only 1 hour from Lyon or Geneva airports. The region is famous for its quality of life, magnificent natural surroundings, history and heritage, and its Alpine and cross-country skiing and its water sports. Chambéry was the capital of the former Duchy of Savoie, and like Annecy 50 kms away, it has preserved the charm of an old city together with the vibrancy of a modern medium-sized, pleasant and culturally-active town. 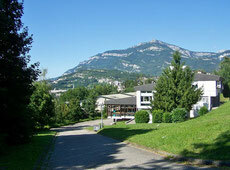 IAE Savoie Mont Blanc (University Institute of Business Administration) is one of the 8 faculties and Institutes of Université Savoie Mont Blanc. 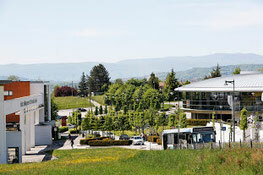 It has 2100 students over the two campuses of Chambery (Jacob-Bellecombette), where the ACEEPT Project Week will take place, and Annecy (Annecy-le-Vieux), which are located respectively in the departments of Savoie (French zip code 73) and Haute-Savoie (French zip code 74) in the “Savoie Mont Blanc” region.